It was a pleasure working with Dan and his team! We really put him to the test with a very unique situation with a foreclosure property that we purchased, fixed up and resold. Dan was diligent in his market review and presentation of the property to potential buyers. When it came time to close, a number of issues popped up and Dan was quickly making calls, investigating and providing solutions to our unique problems. He tears down all walls, no matter how tall, to ensure a great outcome for everyone. He's also professional, kind and cares about his clients and the people he comes into contact with. Although our experience with fixing up a foreclosure wasn't the best, Dan made it a whole lot easier! Dan is a personable, detail orientated, on task, and most importantly, a trustworthy person who runs his Real Estate business with utmost integrity. He is always willing to lend himself out to go the exta mile and makes it his number one priority to establish a great relationship with each individual he works with. With out a doubt, he is trustworthy realtor that gives 100+% effort to make sure each individual he works with has a pleasant and effective selling/buying experience. Dan Edwards is who found us our dream home and we are so pleased with his service. What I like about having worked with Dan is that he has a whole team of people working with him so that my husband and I got the best value (for the same price!). Dan worked hard for us, was AWESOME at listening, didn't waste our time and was super on top of making sure we won our bid for a great deal. He helped us navigate the process, connected us to a host of other great service providers, moved fast and was even available by text at all hours! Going above and beyond this man was. Another thing you should know is that he is very trustworthy. With a home purchase, it's a big one and you'll want someone who is very honorable, and all that I've seen from Dan. Dan is at the top of his field and I highly recommended him. He was our agent for both buying and selling our house and always performed above and beyond for us. He's very knowledgeable of the greater Eastside and is great to work with. He also happens to be very good - our house sold after only 2 days on the market! We worked with the Keller Williams Eastside Real Estate team and just closed on a house in Issaquah in March 2016. We were really impressed with their service level and understanding of the current market. We can't write this review without giving rave reviews of Rosemarie McIntyre, the realtor who closed our deal! If you're ready to buy a house, reach out to her and you will not be disappointed! Let me tell you about our experience from beginning to end. 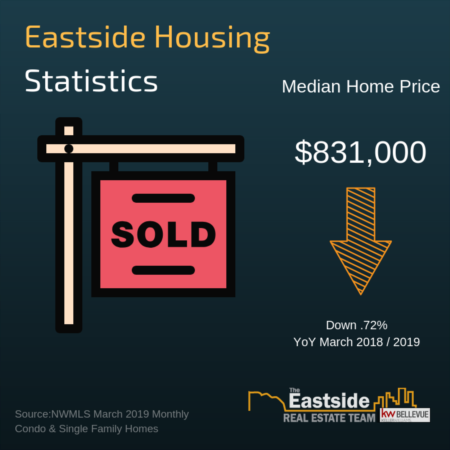 My husband and I had just started going to open houses - we weren't planning on buying in Seattle until we sold our home in LA. Rosemarie happened to be hosting one of the open houses we went to and aggressively (in a good way) reached out to learn about our needs, timeline, etc and asked to set up a meeting to discuss our needs in more detail. Even though we weren't planning to buy for another 3-6 months, she and her teammate Dan Edwards took time on a Saturday evening the very next week to meet with us. Once we started looking at homes seriously, Rosemarie always made herself available to go see them with us. For those we were interested in, she was quick to follow up with the listing agent to get details on any pre-inspections and to find out what the sellers were looking for in their offers. There was even a week where she went on vacation in Hawaii and still wrote up a last-minute offer and managed all the nail-biting calls with the listing agent. She also provided quick feedback on comps in the area so we could make a solid offer. The Seattle market is extremely hot right now, so I can't say homebuying was an easy process. We lost out on about 5 bids, but in the end won the best house for us. By the time we saw the house we eventually won, my husband and I were pretty worn out and frustrated with how competitive the market is. The last house was priced higher than the others we had looked at, and we thought there was no way we could win it with the max offer we could afford. We asked Rosemarie if it was worth even putting in a bid and she said, "You'll never win a house you don't try for." So we put together the offer....and FINALLY WON IT! We're so happy with our purchase and again, just so happy with Rosemarie's service level, availability and just amazing attitude and character. I have to say it again b/c this is so important when buying a house -- I can't stress enough how available she was. I felt like we were calling, texting or emailing every day - usually I would hear back from her within 10-15 minutes. I was never left waiting or wondering what was going on. Amazing! FYI the Keller Williams realty site is not the greatest in our opinion. We still used Redfin throughout most of our search as they just provide better details and seem more up-to-date with listings. I have heard really bad things about Redfin realtors though so don't use them as your realtor - use Rosemarie McIntyre at Keller Williams and just reference Redfin to see new home listings! Dan is awesome! He sold our place at list price in just about 2 weeks. We had an offer 3 days after he listed the property. That fell through but he got us another offer not long after. I had to leave the country during the process and he took care of the paperwork and everything like a rockstar that he is. As soon as I landed at Sea-Tac, I got a call from him telling me to pack up and get ready to sign the closing docs. In short, if you need an agent, give him a call! I found The Eastside Real Estate Team through Kerri Jambor. She joined Dan's team not to long ago and I am sure glad I went with them to assist in the purchase of my townhouse in West Seattle. Kerri was able to find the perfect fit for me in the exact area that I wanted. She met with me as soon as we saw it go up on the market and we toured the house. A few days later Kerri and Dan met me at the house for a second viewing and sat down with me right there and wrote the offer in less than an hour. 24 hours later I was in escrow. Yep, first home in Seattle that I placed an offer on, I got!!!! A miracle in this market, but that goes to show how hard Kerri, Dan, and their entire team worked to find me a home, get a sensible offer made and walked me through the entire home buying process; which is foreign to me up here in WA. (CA real estate buying is different than here.) I would highly recommend Kerri and the Eastside Real Estate Team. Can't say enough good things about Dan and his team, they made the purchase of our first home a complete success, handled the few hiccups with the complicated HUD transaction, and we closed on time. Everyone was kind, courteous, extremely responsive, and all around great people. Thank you so much for all your hard work. We will definitely recommend this team to everyone we know!